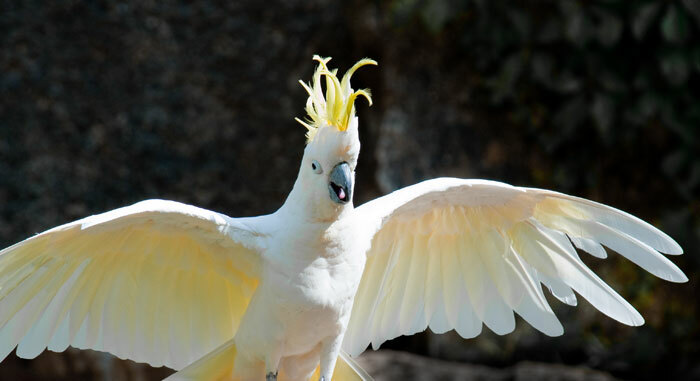 This large white cockatoo has a long forward-curving yellow crest, yellow on the underwing linings and in the base of the tail. Sometimes, the feathers of the cheeks are yellowish. Its beak is black. In the male, the eye is solid black and in the female it is brownish red. 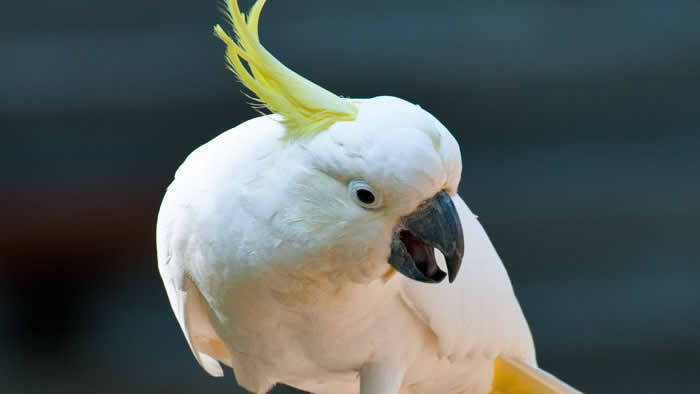 Sulphur-crested Cockatoos eat seeds, fruits, berries, nuts, flowers, leaf buds and insect matter. They also plague farmers by eating newly sprouted seeds and raiding crops as they ripen. They may also help themselves to bagged grain. They also eat the seeds of many weed species but their damage to crops outweighs their benefit at controlling weeds. This species is common in a wide variety of wooded and savannah habitats in New Guinea, northern and eastern Australia, and Tasmania usually near water. During the breeding season, Sulphur-crested Cockatoos seem to congregate in pairs or small groups. At other times they associate in large flocks of hundreds of birds. 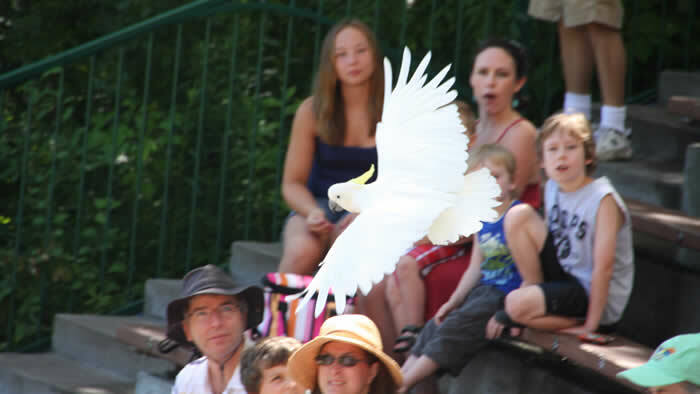 In flight, these beautiful white parrots show yellow underwing linings and often screech loudly. They often feed on the ground and employ a reliable sentinel system to warn feeding birds of approaching danger. Birds perched on the periphery of the foraging flock will scream and take flight, the rest of the flock rising to escape with them. When relaxed the feathers of the cheeks are extended to cover the lower mandible. This is an extremely common bird that is regarded as an agricultural pest because of the heavy toll flocks take on agricultural fruit and cereal crops. Losses of between 50-90% of peas, safflower, maize and sunflower along with the continued growth of bird populations has left farmers in a difficult position and has led to the slaughter of thousands of birds by poisoning, trapping, clubbing and shooting.